Tribal tattoos originated from ancient cultures. Based on the word tribal, this means that these tattoos are related to anything tribal. Historically, tribal tattoos commonly represent a person’s status, belongingness to a specific clan or tribe, strength, and endurance. 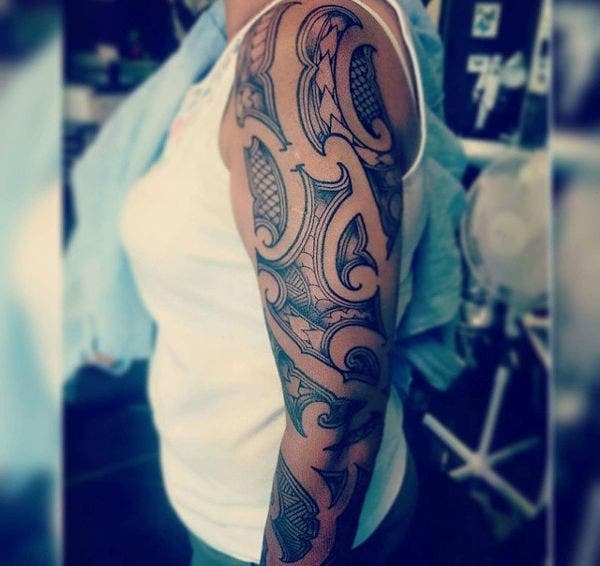 It is for this reason that modern-day individuals who don’t have any affiliation with any tribe would opt to sashay around with tribal tattoos on their bodies. Tribal tattoos are immensely popular these days. 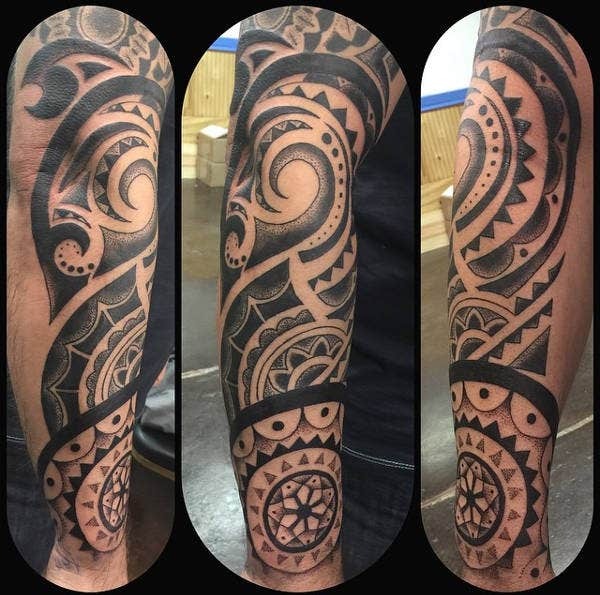 So if you are a novice in tattoo art or a budding artist yourself and you are looking for tattoo designs that would speak to your inner self in volumes or add to your portfolio, then you may find our gallery of tribal tattoo designs useful. On the other hand, if you have already decided that you want to go tribal, simply scroll down below and download our collection of tribal tattoo designs! 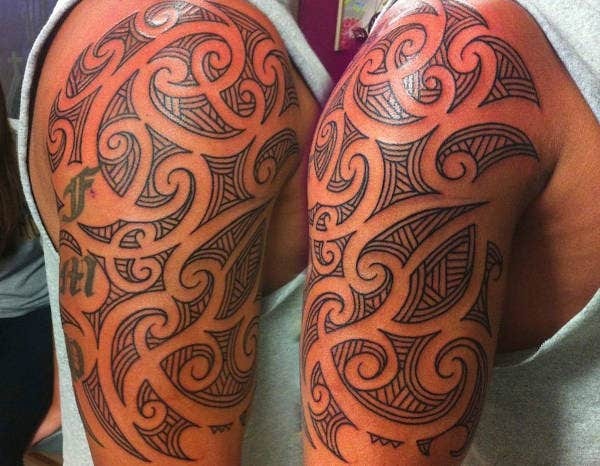 According to studies, most tribal tattoos originated from ancient Polynesian tribes. Polynesia consists of the islands within the triangle with its corners at Easter Island, New Zealand, and the Hawaiian Islands. Naturally, most of these tribes’ descendants have migrated to different parts of the worlds. However, their intricate ink designs have outlasted the harrowing persistence of time and forgetfulness. for medicinal purposes such as inks at the tip of acupuncture needles. Men of today who sport tribal tattoos on their chests, shoulders, or arms often choose bold cross tattoos, claw designs, and many others. 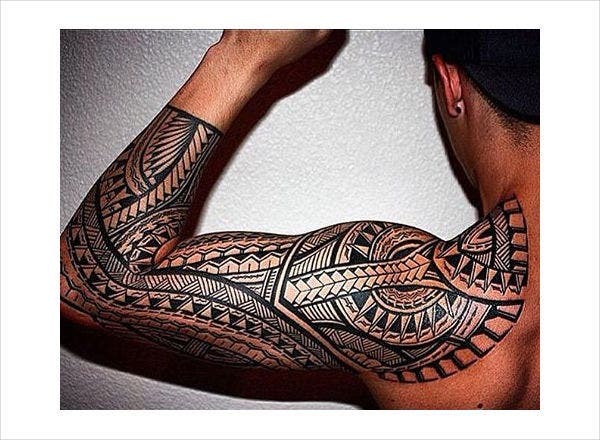 The tribesmen in ancient times, however, are often inked in tribal tattoos that resemble animal or animal parts. 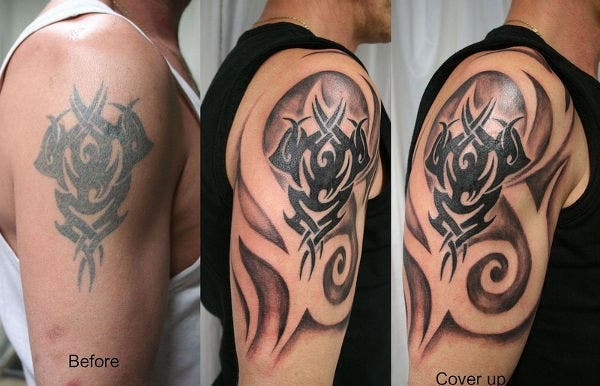 One example would be the inking of shark tooth on a man’s forearm; this is supposed to symbolize strength. Meanwhile, the a visual representation of a huge fish means productivity and endurance during hunting escapades. Generally, these tattoos serve as rights of passage or coming of age. When a man has survived the tribe’s test of endurance, only then can he have the honor to be inked. Just like the men, tribal women’s tattoos serve as rites of passage and mean strength and endurance for the laborious pain of childbirth. Life is rough for these women for they are assigned not only the task of child-rearing but also foraging while their partners hunt. 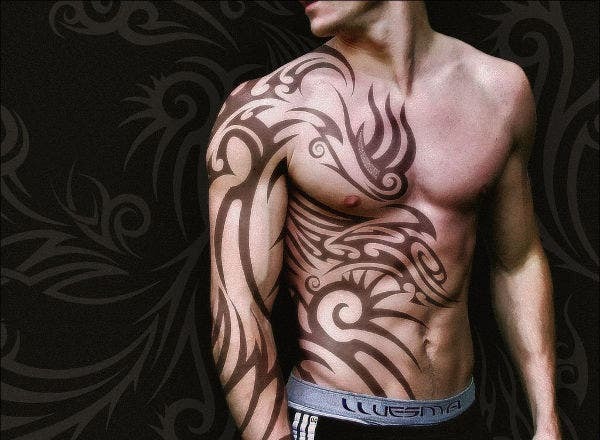 Their tribal tattoo designs are notably lesser in size and more polished than the men’s harsh-looking ones. As mentioned above, historical meanings of tribal tattoos are teeming with gender stereotypes. Today, tribal tattoo designs no longer have genders. Women, as well as men, have the choice to tweak their tribal designs according to how they perceive their personalities to be. 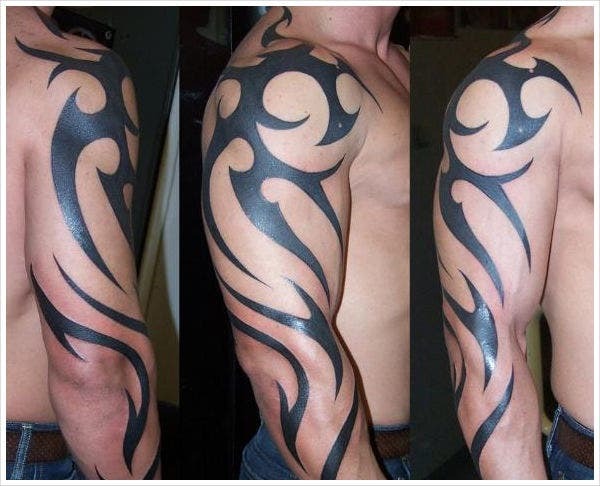 Some men even add bling to their tribal tattoos by infusing it with brighter colors such as scarlet and yellow. 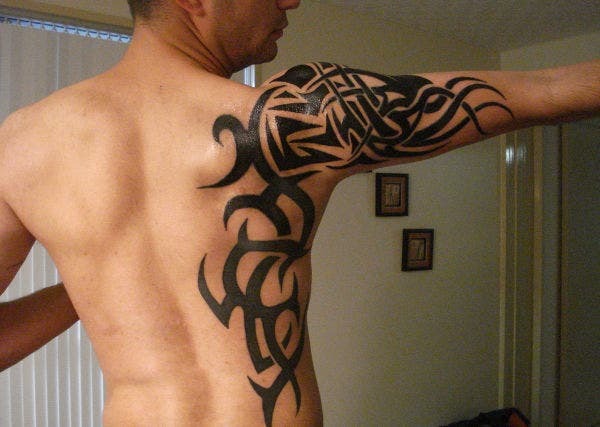 Some women, on the other hand, opt for more solid and black-inked tribal 3D tattoos. 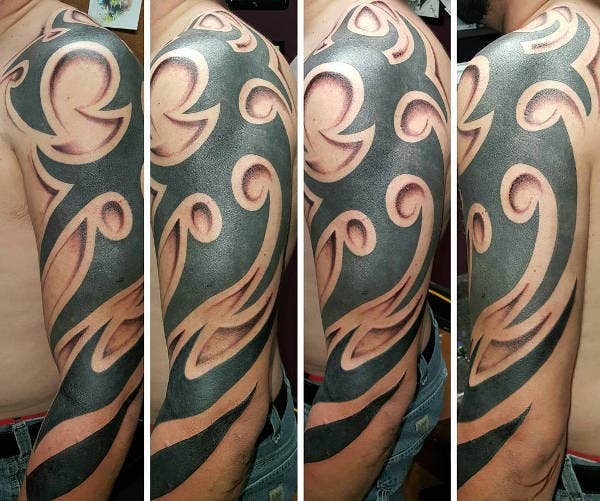 So, if you are currently seeking the perfect tattoo that befits your self-concepts or best symbolizes a particularly important milestone of your life, then our tribal tattoos may be the perfect fit for you!